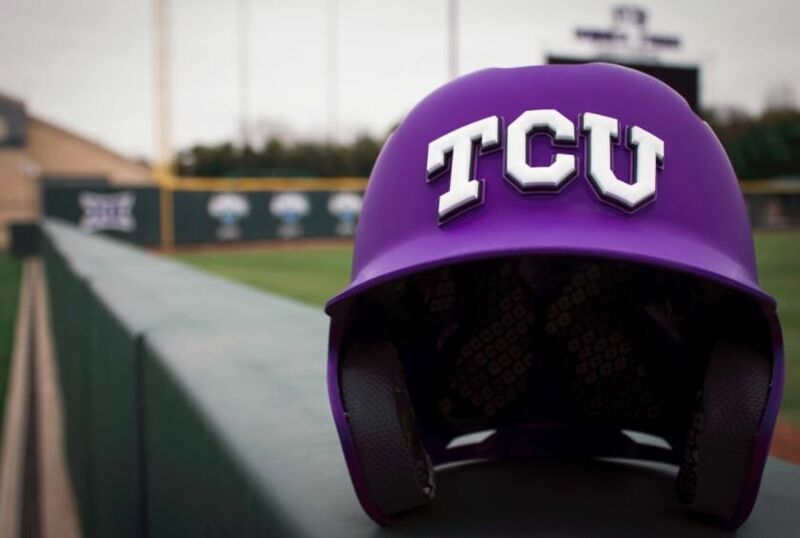 The Texas Christian University Horned Frogs have gone to the College World Series in three consecutive years. 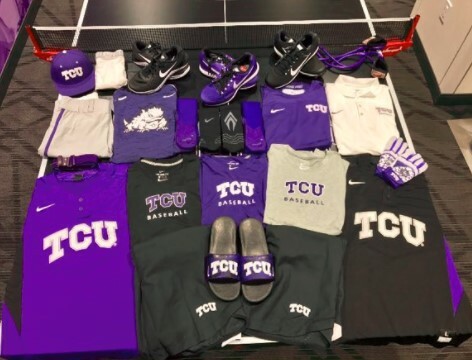 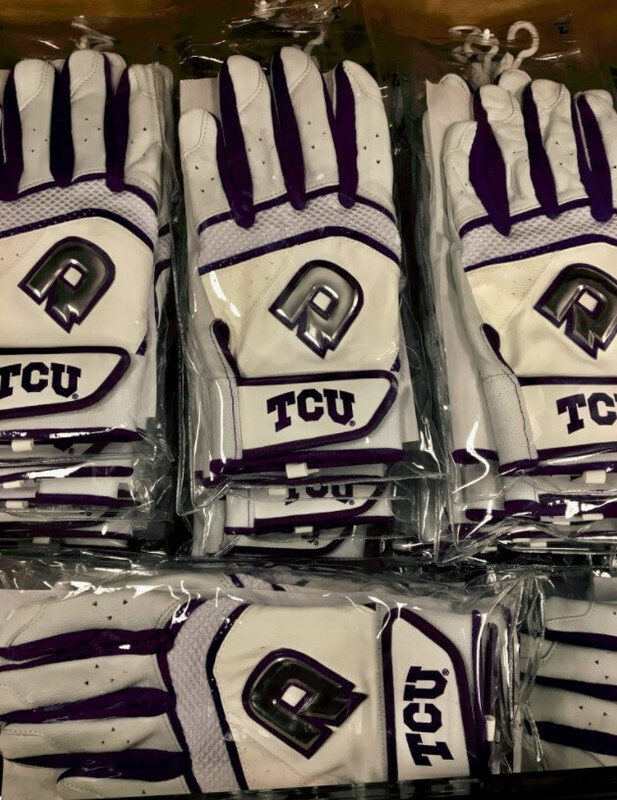 That type of performance gets you preferred treatment, and as one of Nike’s premier teams, TCU is a perennial contender for freshest gear in the country. 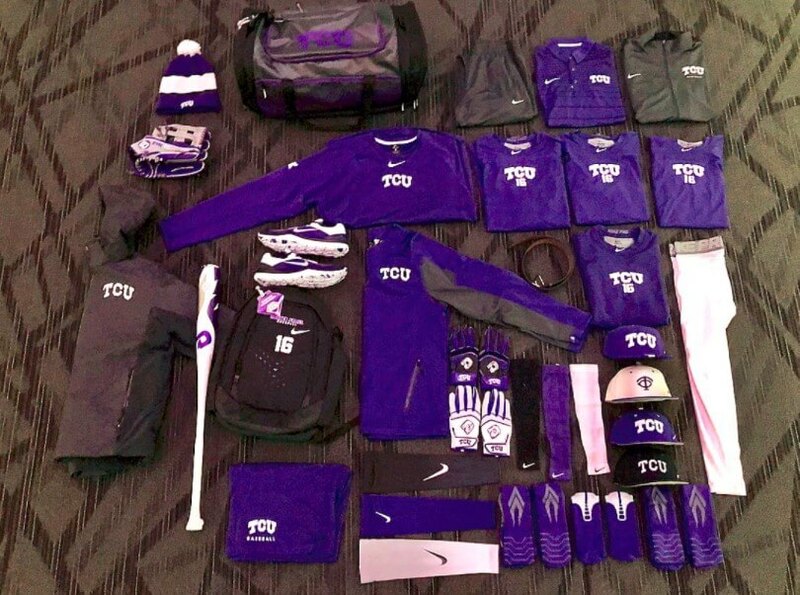 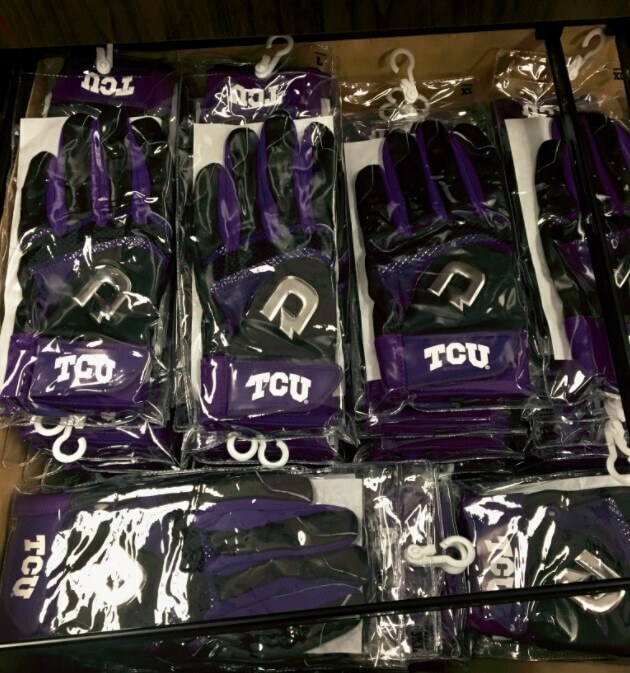 Here’s a look, thanks to @TCUManagers on Twitter. 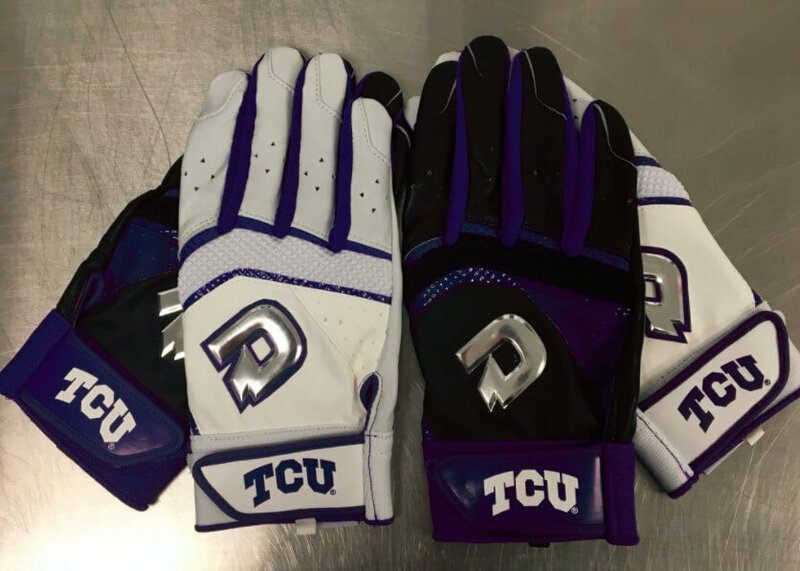 DeMarini’s new style, “Shatter” batting gloves look like a winner in home and away colors. 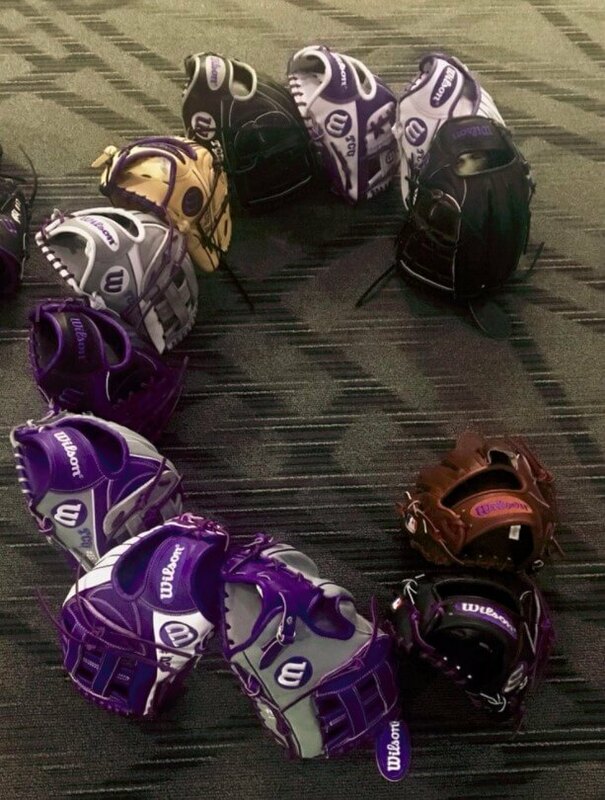 Evoshield custom straps are just cool. 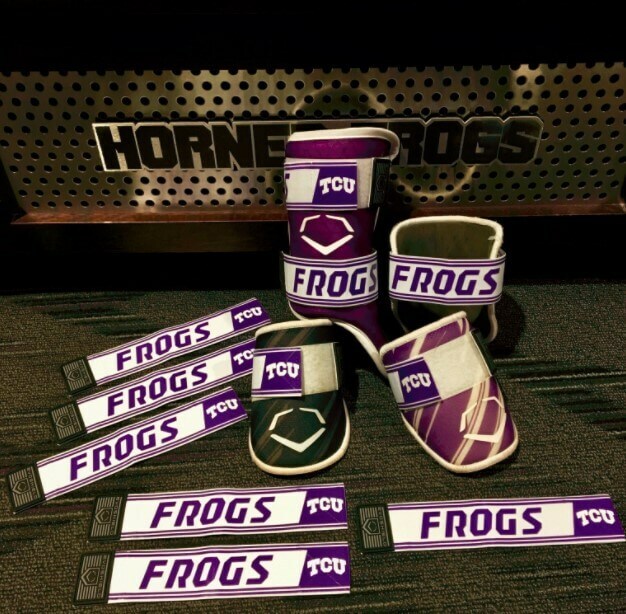 I don’t wear any armor but I probably would if I got custom team straps. 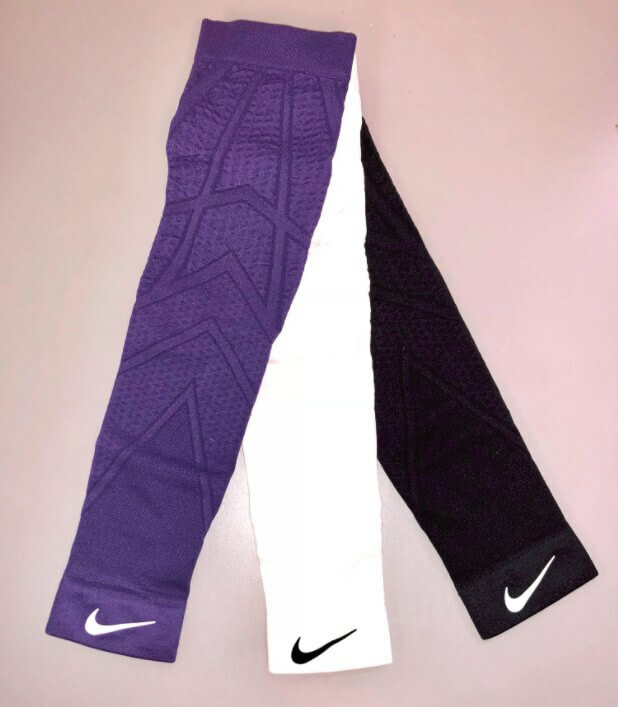 Looks like the Speed Stripe style (see elbow guards above) is about to sell out for good. 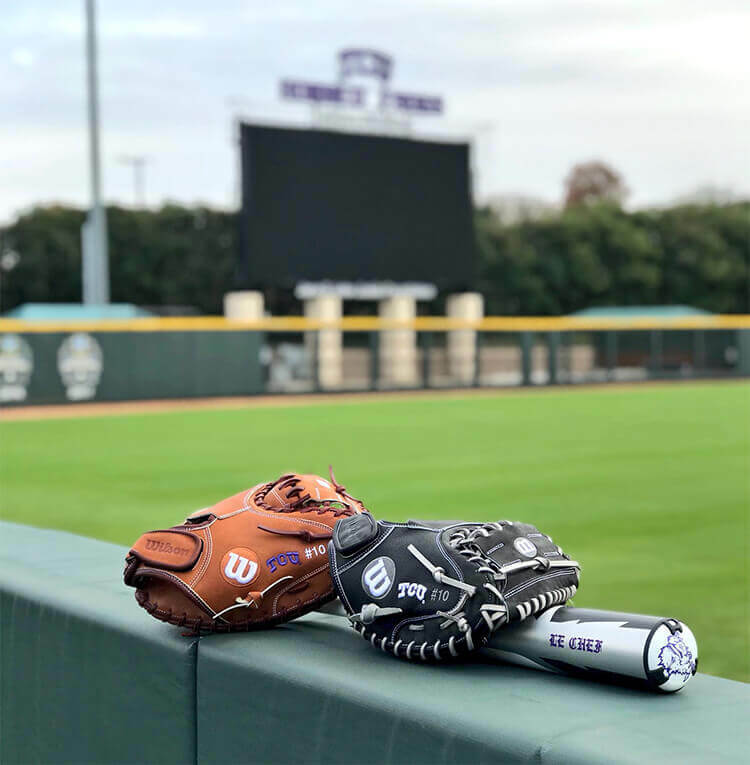 Get what’s left of the Speed Stripe style at 50% off here, or shop the new EVOCHARGE style (top left, bad lighting) here. 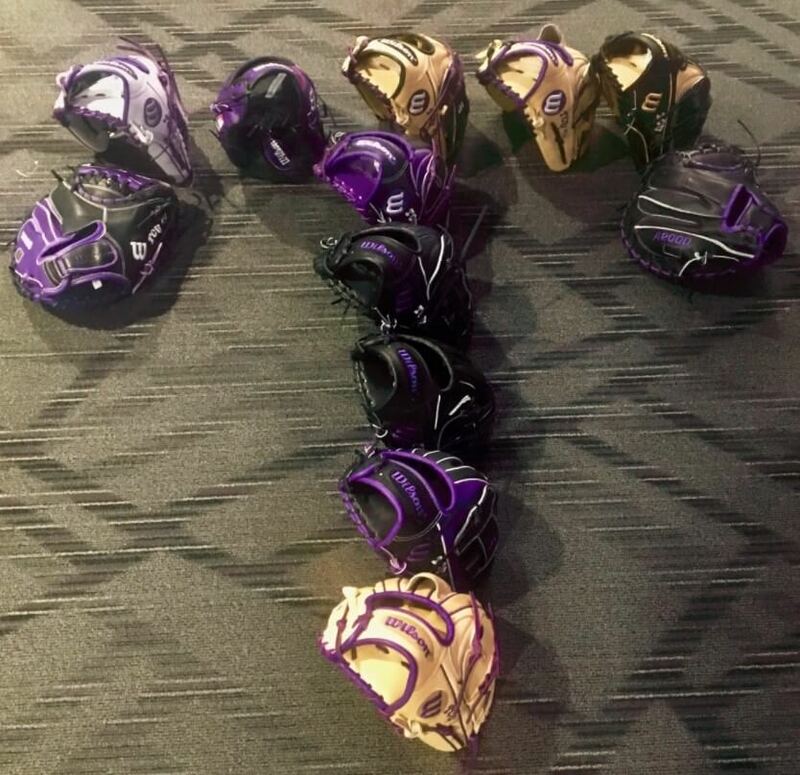 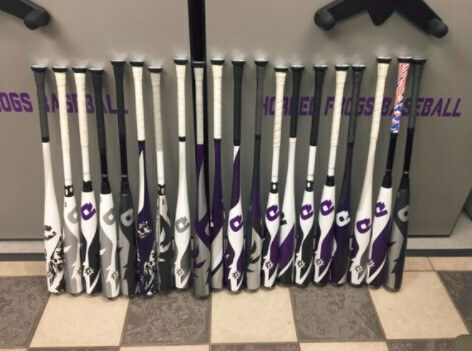 The Horned Frogs are loaded up with DeMarini Voodoo Balanced (balanced two-piece), Voodoo Insane (end-loaded two-piece), and Voodoo One (end-loaded one-piece) bats. 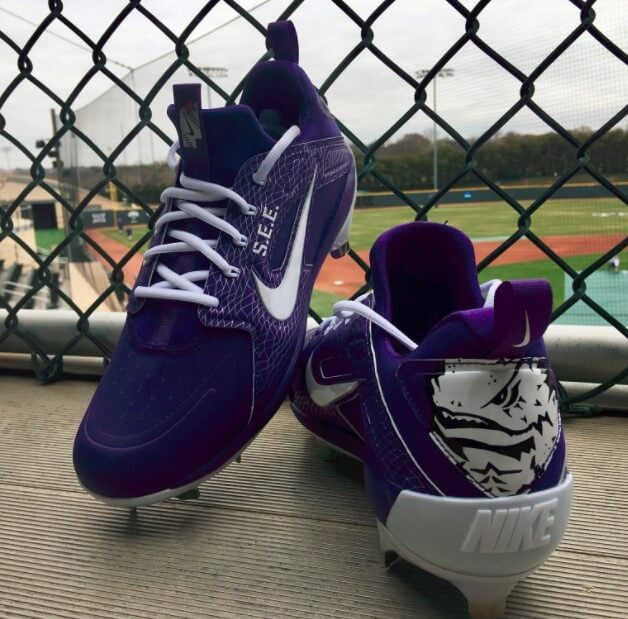 …Nike Alpha Huarache Elite low cleats, which just released (lows) on Nike.com, and highs can be had at Eastbay. 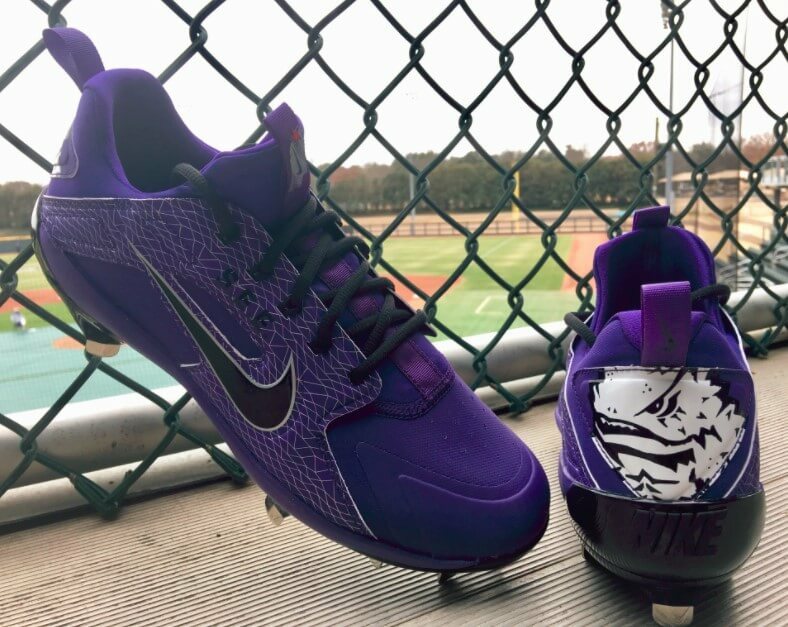 The toe protection by Hurler is a pro job. 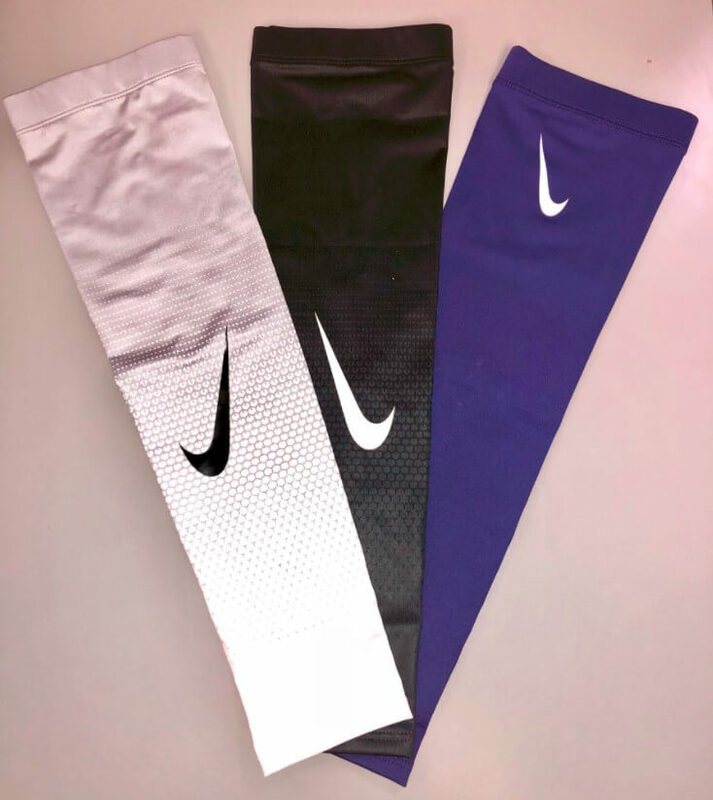 Nike Pro Hyperwarm sleeves are available in 5 colors at Eastbay. 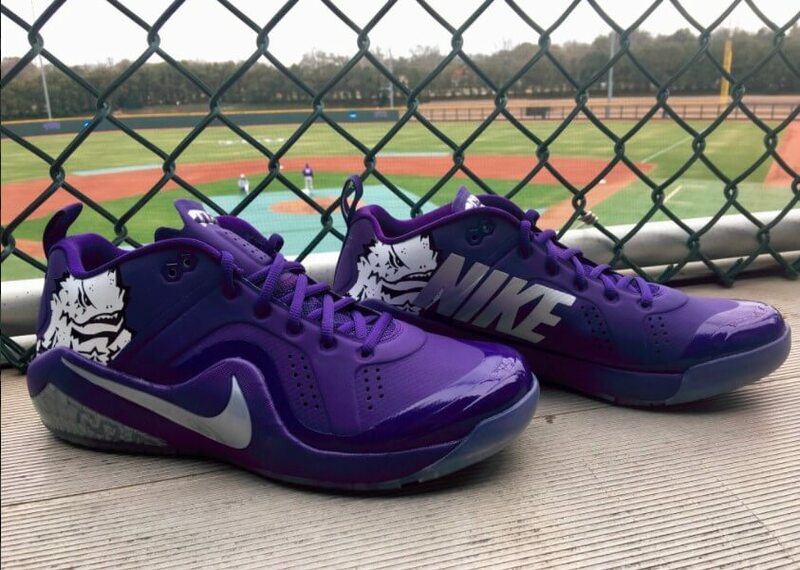 There’s something about purple that just pops on a baseball field. 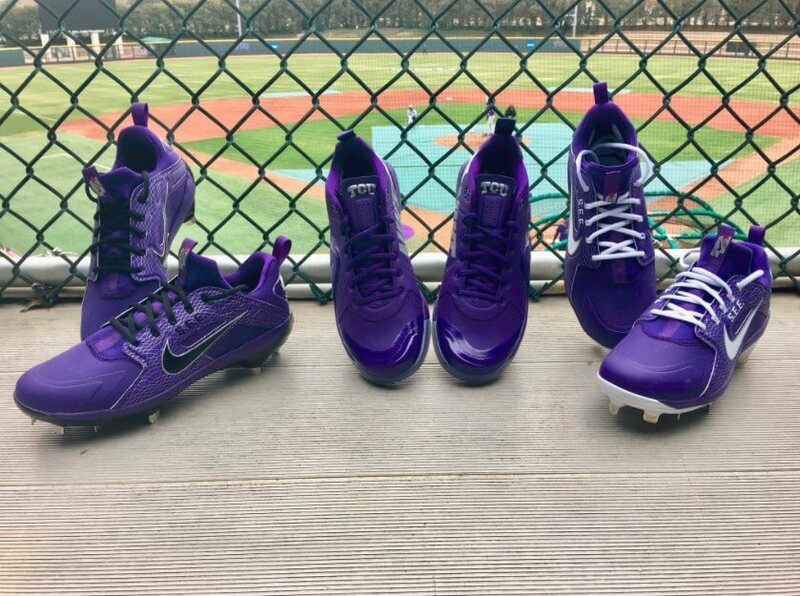 Maybe not everyone can pull it off, but the Horned Frogs, LSU, and the Colorado Rockies make that purple look insanely fresh. 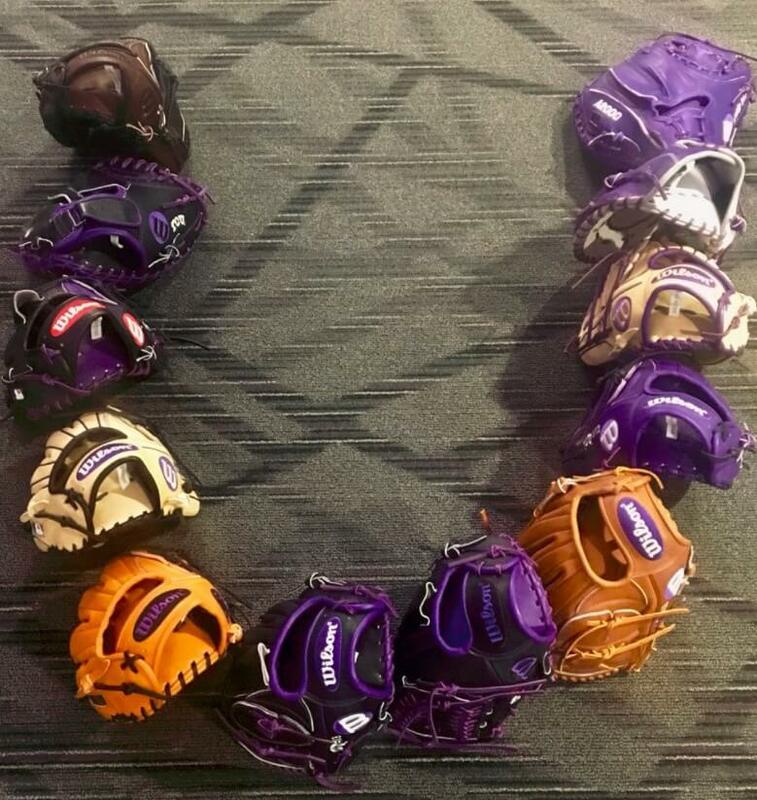 Wilson always seems to add just enough purple to make it look good, but not too much. 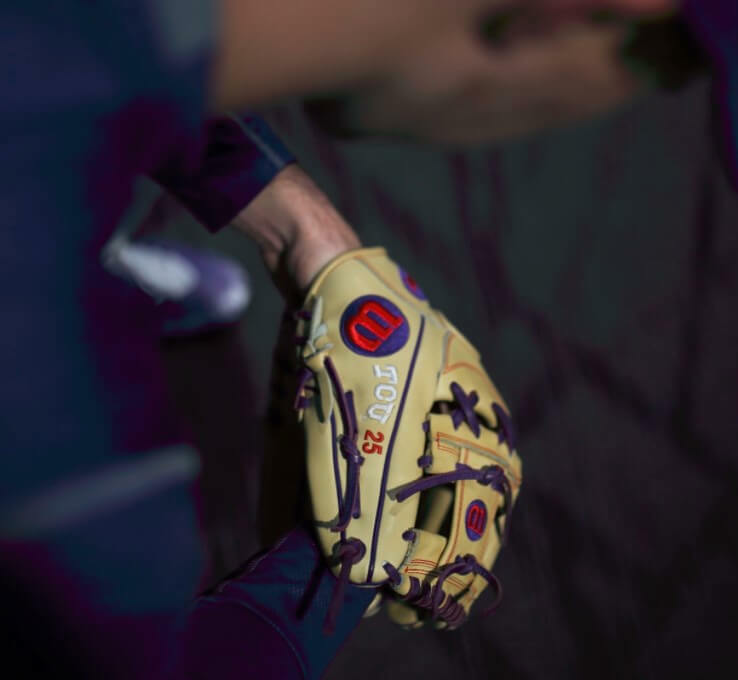 That sneaky Longoria EL3 looking glove in orange tan looks like it might be the best of the batch, though. 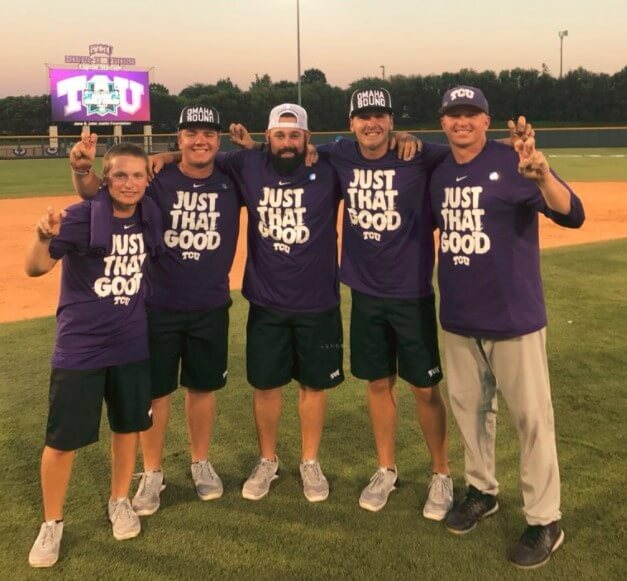 Thanks again to the TCU Managers (above) for the shots. 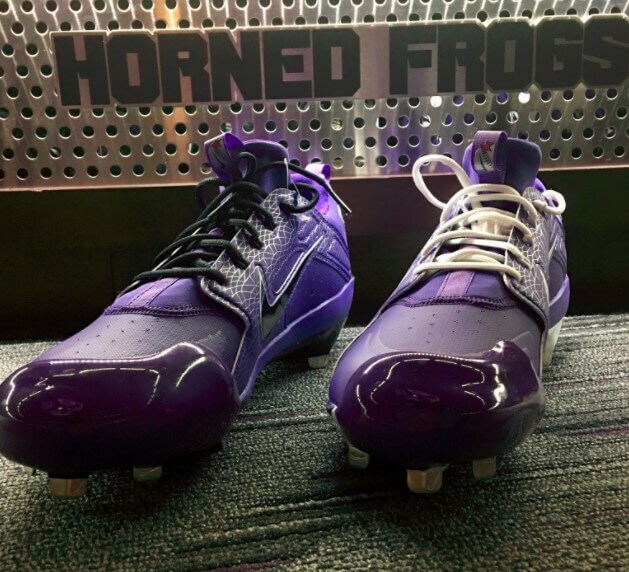 Give ’em a follow on Twitter and keep up with the Frogs on Instagram.